How to go vegan when you have no idea where to start. I never planned on going vegan, and I never thought it would stick. I wanted to eat healthier—that I knew. Going vegan was certainly an option, but cutting out two major food groups seemed extreme. So I put off going vegan for months. I didn’t know enough about veganism, and I let the fear of failure hold me back from learning more. My issue was that I didn’t know why I wanted to go vegan, and I was too scared to call myself a vegan because I wasn’t 100% committed. At first, going vegan seems complicated, expensive, and restrictive. I thought this way, too, but these are some common misconceptions about going vegan. Once you realize all the benefits of going vegan, there’s no looking back. Sure, there’s a learning curve, but you’ll get past it and being vegan will become second-nature. Simply put, a vegan is a person who doesn’t consume animal products and who reduces their use of animal by-products as much as possible. The first thing you may think of when veganism comes to mind is food. Boycotting animal food products is usually the first step to going vegan. Instead of chicken, beef, pork, and fish, vegans get their protein from plant-based sources like beans, lentils, tofu, grains, nuts, seeds, and more. Vegans also watch out for animal byproducts like milk, dairy, honey, beeswax, gelatin, and so on. Fortunately, with all the vegan alternatives on the market, this is easier than it seems. Vegans are also conscious of products containing animal-based ingredients, products that are tested on animals, and activities that involve live animals. This is because vegans don’t see animals as ingredients, test subjects, or entertainment. Vegans become experts at reading labels and learning to avoid non-vegan ingredients in all kinds of products. Leather and suede are some examples, but beeswax is also in many products. Even if a product doesn’t contain any animal-based ingredients, it may have been tested on animals. Rabbits, beagles, rats, and other animals undergo cruel testing for many products you might be using on a regular basis. This is an outdated and unnecessary practice, so try to purchase cruelty-free products wherever possible. It’s important to note that being vegan isn’t about being perfect. As much as I wish I could call myself a 100% vegan, we don’t live in a vegan world, and there are non-vegan products we can’t avoid. A popular example is the glue that holds furniture together usually involves horse-derived ingredients. Same with car tires, which contains materials derived from cows. While we can hypothetically boycott couches and travel by foot, boycotting these products isn’t practical. A vegan makes his or her greatest effort at boycotting and reducing the use of products that contain animal ingredients, were tested on animals, or involved the cruelty and exploitation of animals in any way. While there’s no such thing as a perfect vegan, we can all do our best to live cruelty-free lifestyles. What’s the difference between being vegan and vegetarian? Before there was a term for vegans, people who didn’t eat animal products usually called themselves vegetarian. Today, vegan and vegetarian are totally different. The one thing that vegans and vegetarians share in common is that neither group consumes meat. However, vegetarians still consume some animal byproducts like milk, cheese, and eggs, whereas vegans don’t. Going vegetarian is often a stepping stone towards going vegan. It’s easier for some people to first eliminate meat and then phase out eliminating animal products until they’re fully vegan. The better question would be “what do vegans NOT eat?” Once you remove animal products from your diet, you’re left with all the plant foods in the world. There are tens of thousands of edible plants on this planet, so cutting out a handful of ingredients isn’t as extreme as you think. When you go vegan, you essentially cut out 6 main ingredients: chicken, beef, pork, fish, milk, and eggs. Of course, there are more than 6 animal products, but these are the main culprits that people have a hard time giving up. However, veganism isn’t about restricting your diet as much as it’s about expanding the foods you consume. Before going vegan, I had never tried quinoa, dragon fruit, chickpeas, acai, tempeh, and dozens of other plant-based foods. Now, these foods are staples in my diet, and my palate is more evolved. As a beginner vegan, you might find comfort in eating foods that are similar to what you’re used to. Instead of foods like cow’s milk, scrambled eggs, and beef burgers, try out vegan alternatives like almond milk, scrambled tofu, and veggie burgers. Vegan products are more evolved than ever, so if you think going vegan means eating vegetables for the rest of your life, think again. Since more and more people are going vegan, the demand for vegan products has gone up, and so has the supply. Key takeaway: Almost anything you can eat as a non-vegan, you can veganize with plant foods. The top reason to go vegan is for the animals. By choosing to eat plant-based foods instead of animal-based foods, you’re saving lives at every meal. All animals want to live—from the dog on your lap to the pig on your plate. Each animal is an individual, capable of complex emotions like love and fear. More importantly, farmed animals feel pain, and they suffer immensely. Animal agriculture is far from compassionate, ethical, or humane. Even animals raised grass-fed, cage-free, etc. still end up in the slaughterhouse. Simply put, there’s no such thing as humane slaughter, and there’s no way to humanely kill a being who wants to live. After watching slaughterhouse footage or documentaries exposing the animal agricultural industries, many people go vegan because they simply can’t contribute to unnecessary violence any longer. 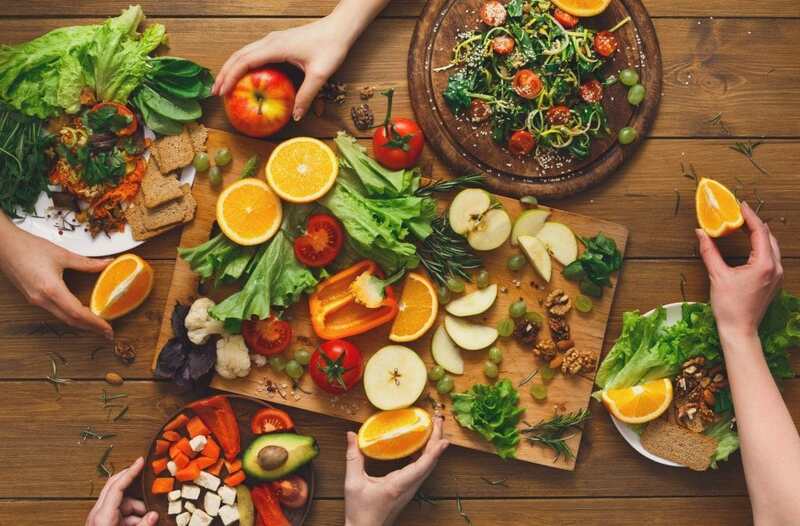 The health benefits of a vegan diet are unrivaled compared to any other diet, which is why many people are drastically reducing their intake of animal products or eliminating them altogether. 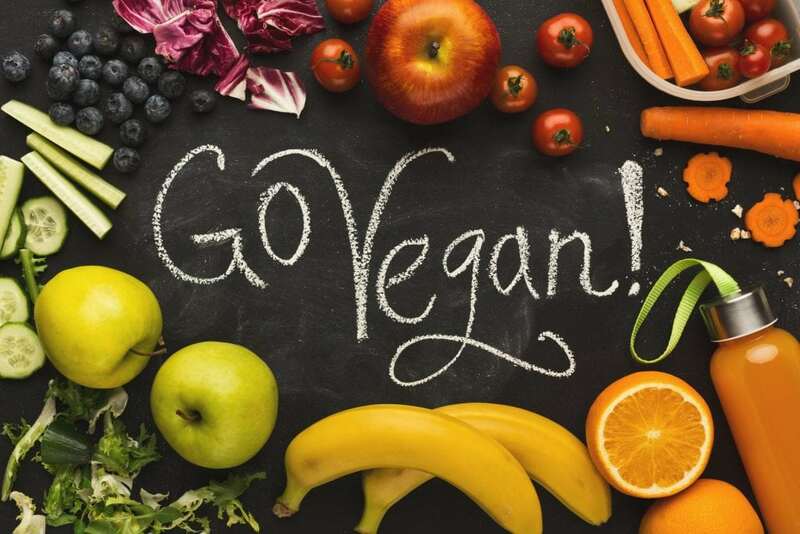 Plant-based doctors, such as Dr. Michael Greger, Dr. John McDougall, and Dr. Neal Barnard, have shown that a vegan diet not only prevents life-threatening diseases, but can also reverse them. Fun fact: Oreos, potato chips, many soda pops, and other sugar-filled junk foods are all accidentally vegan. Going vegan doesn’t necessarily correlate to health if you plan on eating nothing but junk food. 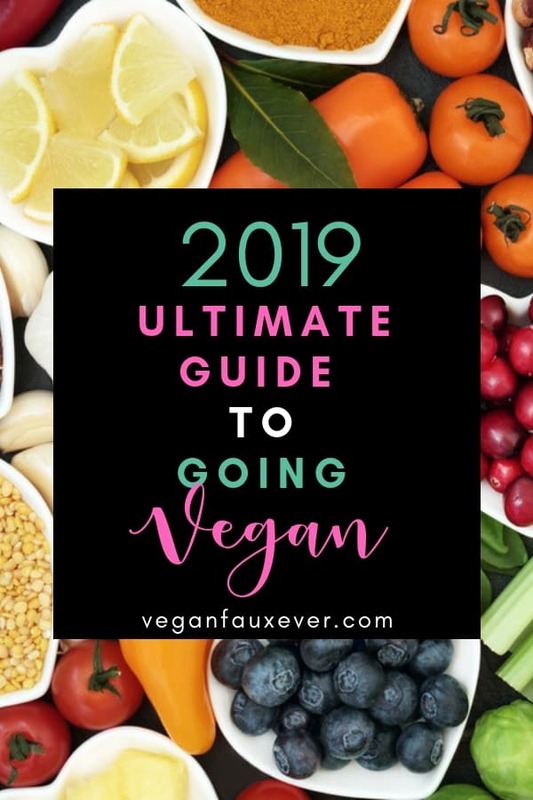 However, incorporating a variety of whole, unprocessed plant foods will put you on track to going vegan for health reasons and succeeding at it. Follow these tips to make sure you’re getting all your nutrients as a vegan. If you turn off the water when you brush your teeth, take shorter showers, and say no to single-use plastic, you’re probably an environmentally conscious consumer. More and more people, especially millennials, are opening their eyes to how their consumer habits affect the environment, inspiring the boom of eco-friendly products and lifestyles. Going vegan is one of the best ways to positively impact the environment. We can all make strides towards living more sustainably, and going vegan significantly reduces your carbon footprint. Most people, even vegans, aren’t fully aware of the impact that animal agriculture has on humans around the world. There are approximately 7.5 billion humans on Earth, yet more than 50 billion land animals are raised for consumption and slaughtered annually. This means that enough food and water is grown to feed more than 6.5 times the human population, yet world hunger is still a global issue. When you consume animal products, you’re not consuming just one meal. You’re essentially consuming every single meal that animal ever ate—meals that could have gone to starving humans had that animal not been bred specifically to feed a few. In some countries, food is cultivated to feed animals instead of the humans living there. Those same animals are then eaten by people in Western countries. A non-vegan diet requires a lot of resources to feed a few, leaving many without basic needs like food and water. As more people go vegan, the supply of animal products will slowly decline, leaving more plant crops to feed humans affected by starvation and world hunger. As an individual, you have more power than you think, and it begins on your plate. Going vegan heavily involves changing your food choices, so it makes sense to start by going through your fridge and pantry. You can use up your non-vegan food items or donate them to a shelter or church. Start by replacing your favorite foods with vegan alternatives. If you’re a dairy lover, try out the dozens of different vegan cheeses and hundreds of plant-based milks and vegan ice creams. If chicken is your favorite food, you’re in luck–there are tons of vegan meats on the market. Chicken tenders, bacon strips, scrambled eggs—you name it—there’s a vegan replacement. Eating out at fast-food and table-side restaurants is also a good way to introduce yourself to the world of vegan options. See if there’s a vegan restaurant near you. If not, many food places have vegan-friendly menus. Pro tip: Taco Bell has one of the most vegan-friendly menus among fast-food restaurants. If you’re scared about missing out on protein and calcium, don’t worry. It’s natural to be concerned about nutrition when making a chance to your diet. We answer all of your questions about vegan nutrition here. Slowly phase out your products that contain animal ingredients or were tested on animals. Animal testing is a cruel and outdated practice, so try to avoid products tested on animals wherever possible. Purchasing cruelty-free and vegan products is easier than ever. Look for the cruelty-free logo from either PETA or Leaping Bunny on all makeup, skin care, self-care, and household products. For a full list of cruelty-free beauty brands, check out Cruelty Free Kitty and Logical Harmony. If you’re in the market for cruelty-free household and cleaning products, The Tree Kisser has an excellent guide. Pro tip: Remember that cruelty-free doesn’t always mean vegan. Brands like Burt’s Bees and Tarte have a cruelty-policy, but many of their cosmetics contain animal products like beeswax and carmine. Every time you buy or pay for something, you’re telling the producer and manufacturer to make that product again. You know how supply and demand works. As you’re going vegan, try to spend your money on vegan friendly goods and activities instead of those that involve animal cruelty. Some examples include avoiding leather shoes and clothes made with animal fur by purchasing products made with vegan materials instead. If you already own non-vegan clothing items and shoes, it’s up to you to keep those products or donate them. There is no need to be wasteful by throwing those items out, but remember to purchase a vegan alternative when that item needs to be replaced. Another example is supporting an animal sanctuary instead of a zoo or circus. You can also feed or pet animals, like horses and elephants, instead of riding on their backs. There are plenty of activities that involve animals used for entertainment, so choose activities that show animals compassion instead of cruelty. Millions of people before you have gone vegan, so you’re not alone. 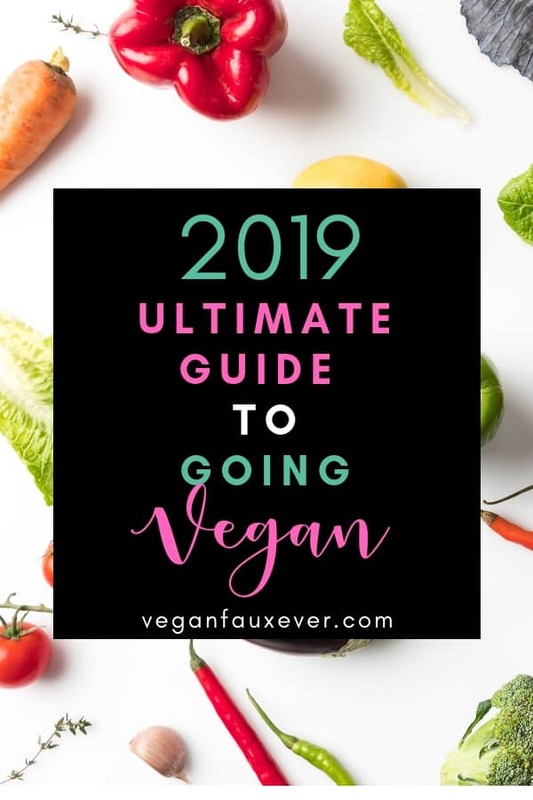 Whether you want to read and watch every vegan material you can get your hands on or join a vegan community, there are resources out there to help you along your vegan journey. VeganFauxEver.com: Not only do we want you to go vegan, we want you to stay vegan. Check out our other blog posts for vegan tips and sign up for our weekly newsletter to get vegan resources delivered straight to your inbox. Challenge 22: A free 3-week challenge packed with vegan information, recipes, and a one-on-one mentor. Documentaries: I suggest you start with Earthlings, Cowspiracy, and What the Health, but Livekindly has curated a list of the top 15 vegan documentaries to binge watch. Facebook groups: Social media is a great way to connect with other vegans online, especially if you’re new to veganism. Follow #vegan on Instagram and Twitter and join dedicated vegan support groups on Facebook. Vegan meetups: Look out for vegan meetups posted on social media. Vegan potlucks are a fun and delicious way to meet like-minded people. You can search for “vegan in [your city]” for local events like VegFest or post your own vegan meetup on MeetUp.com. Cookbooks: This is for the foodies. Going vegan will introduce you to a whole new world of food. There are plenty of healthy vegan cookbooks, but if you’re a beginner vegan, we recommend Vegan Comfort Classics. Smartphone apps: Want to know the vegan food options near you? Download the HappyCow app. View 8 other vegan phone app recommendations on ChooseVeg.com. There are infinite vegan resources online and at your fingertips. The best vegan resource, however, is the power of knowledge. There’s no such thing as a perfect vegan, so don’t worry about being “less vegan” than other people. You might make mistakes along the way, and that’s human nature. Don’t let the fear of imperfection hold you back from going vegan today, tomorrow, or a week from now. Set a pace that’s comfortable for you and take it one step at a time if you have to. By setting realistic goals, the transition will be easy and enjoyable. Do your best for the animals, the planet, your health, and other humans.